This week on The Bugcast, it’s just about the music as we present a whopping 10 tracks of Creative Commons music from Fabercut, WhiteRoom, Singleton, Ben’s Imaginary Band, SadMe, Staggered Crossing, Mario Gajarský, Secret Babies, Exitland and MMO. 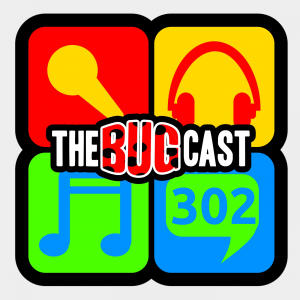 the bugcast 285 – Who’s that? This week, Dave eats humble pie, we discuss our family visit to Legoland, and we play our usual great selection of independent music from Amélie, Roman Ram Lobashkov, Binärpilot, Singleton, Jitterbug Vipers, Mopi, Backnbloom and Melodic In Fusion. We celebrate 3 years of The Bugcast with some laughs and some more amazing independent music.